Hot Tubs – Are available in all PLUS lodges. Boats- We are licensed to launch a limited number of vessels onto the Lake from 1st March to 15th November. You are welcome to bring your own boat, canoe or windsurfer, but please check with us before you arrive as Bassenthwaite Lake is strictly controlled. In particular no power boats are permitted. Fishing: 1st March to 15th November – There is no charge for fishing from the jetty and the foreshore of the park. You will however need to hold a valid rod fishing licence which is available from any Post Office. Pets- Dogs are allowed on the Park and in designated lodges only. As a courtesy to our guests who may be are allergic to pets, please do not bring your pets unless you have booked a designated lodge. Play Area – There is a small play area suitable for young children on the park. Wi-Fi – Wi-fi is available throughout the park free of charge. Please be aware however that Broadband coverage in the Lake District may not be as fast as you enjoy at home and, in particular, may not be able to cope with streaming of video. DVD Lending Library – Available during Reception office hours. Launderette – Free usage 24/7. Use postcode CA12 4QZ in your sat nav or follow these directions. Leaving the M6 at Junction 40 take the A66 signposted North Lakes, Keswick. Follow the A66 for around 16.7 miles ignoring a left sign to the A591 Windermere and Keswick. At a large roundabout take the third exit signposted A591 Carlisle. Travel along this road for 3.9 miles and take a sharp left turn after the sign Scarness, Bassenthwaite Lakeside Lodges 1 mile. Take a look at our park map. Click the image for a higher resolution version. You can also download a PDF version of the map to study before you get here. 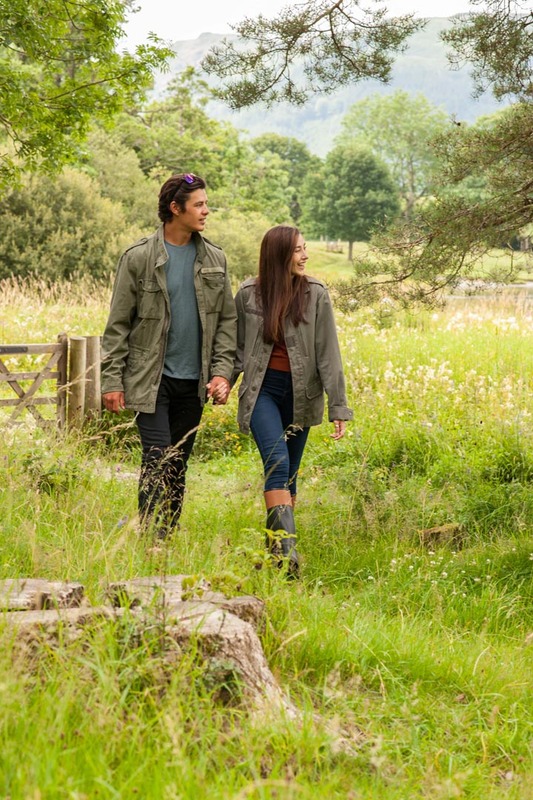 Our Holiday Park is located six miles north of Keswick 1.4 miles down a country lane off the A591. The Park is situated on the north east shore of Bassenthwaite Lake at the foot of the dramatic Skiddaw Mountain. The Park is elevated with holiday homes nestling in a Woodland setting. Our reception is situated at the lower level of the Park overlooking the lake. Parking is in front of the reception building. The entrance door into reception has a ramp and flat threshold. A second door is available with alternative ramped access. Emergency exits in the building are signed. All doors are 3’ wide. Our accommodation consists of one, two and three bedroom lodges. Due to the elevation of the Park all access to most our lodges are via three to five steps. All entrance doors are 3’wide and interior doors 2’6” wide so access to bedrooms and bathrooms would be difficult for a standard wheelchair. There is a parking place beside each lodge. All our accommodation is non smoking. The main drive is of tarmac construction. All side roads and reception forecourt is granite chippings. The speed limit on the park is 10mph. Reception is open daily please check opening times as they vary from season to season. In reception and telephone area there are display units containing numerous leaflets on local attractions and events. The Park is in receipt of the David Bellamy Gold Award for Conservation. We are more than happy to discuss with you any special requirements and requests prior to your arrival. Should you require a special delivery of medical equipment or doctor/hospital information we would be happy to help. You can also download our full accessibility statement by clicking below. Bassenthwaite Lakeside Lodges has plenty of pet-friendly accommodation and is well suited for bringing your loved pet away on holiday with you. 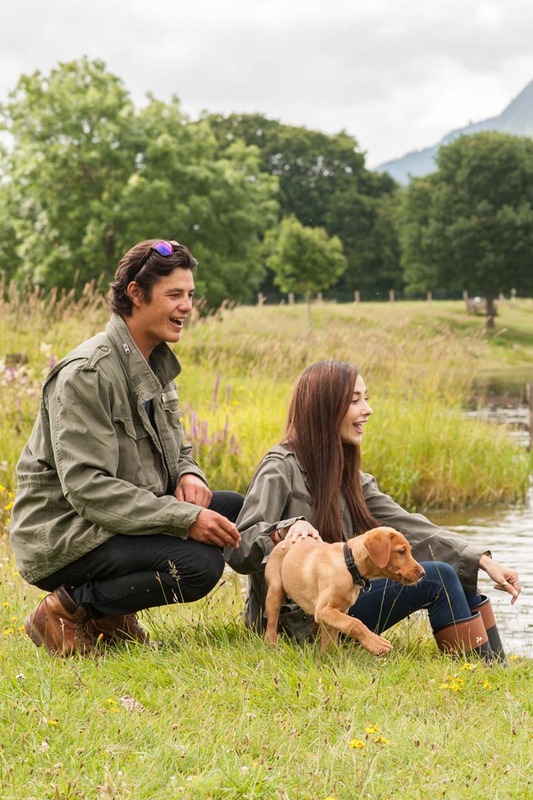 Our Pet Friendly (PF) lodges are nos. 2, 4, 17, 22, 31, 36, 45, 53, 59, 64, 66, 70, 74 and 75. Bassenthwaite Lakeside Lodges is a small, friendly holiday park set in an idyllic location on the shores of the delightful Bassenthwaite Lake in the heart of the Lake District National Park.